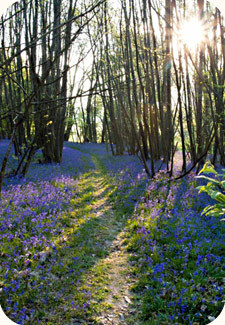 The first is the welcome return of Woodlore’s classic Walk in the Woods with Ray Mears in East Sussex. Due to popular demand, we have reinstated this fantastic chance to spend a day in the woods with Ray and to learn from him first-hand. The second new course is the exciting Fire Lighting Techniques course; a 2-day workshop that will teach you numerous ways of fire lighting and fire management. This course will be led by Woodlore’s Head of Operations, Dan Hume. The third course to be announced is the brand new Rekindling the Fundamentals course. This 5-day course is catered specifically to those who have already completed the Woodlore Fundamental Bushcraft course and wish to recap on the skills, refine their techniques, or simply find somewhere to practice. We anticipate these courses to sell out quite fast, so please book soon to avoid disappointment. If you have any questions at all on any of these courses, please feel free to get in touch. This entry was posted in Bushcraft Courses & Expeditions, Site Announcements on October 10, 2011 by Woodlore Team. Very nice, You’ll need plenty of energy for friction fire!